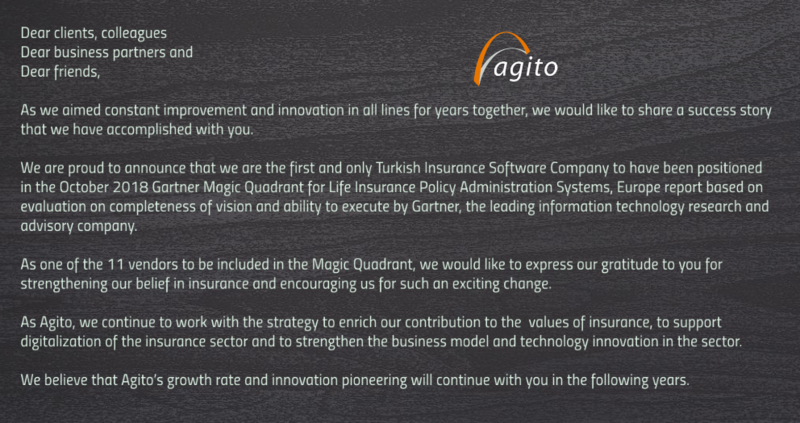 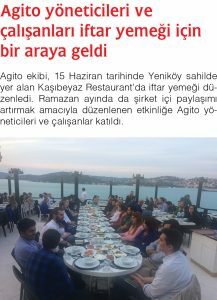 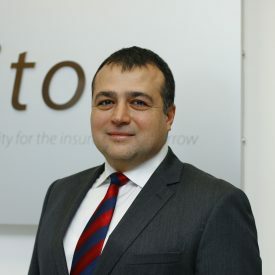 Founded in 1997, located in Istanbul, Agito is the leading provider of insurance industry-specific software solutions and services in Turkey. 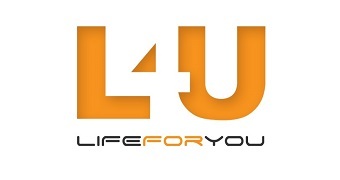 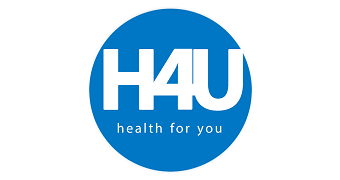 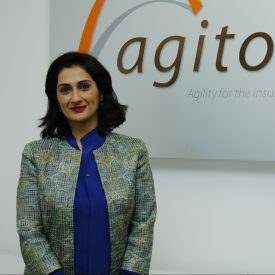 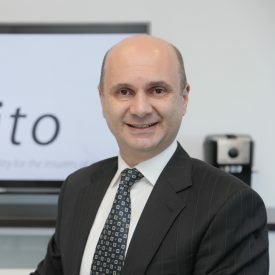 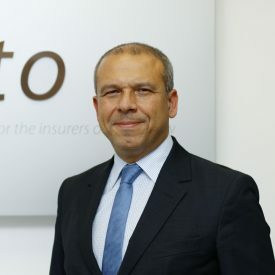 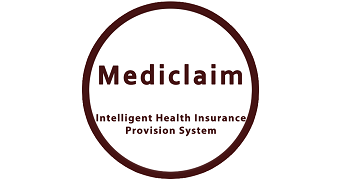 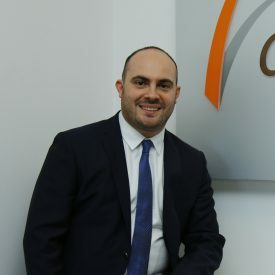 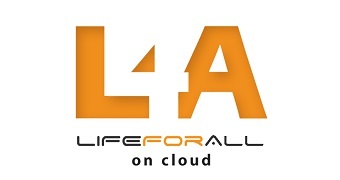 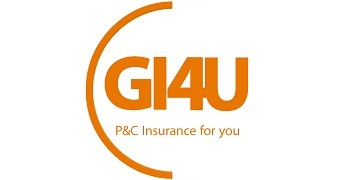 Agito has a suite of solutions both on-premise and on-cloud for all lines of insurance business, Life and Pension (Life4You), Health (Health4All) and Property and Casulaty Insurance (GI4A). 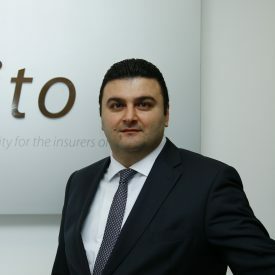 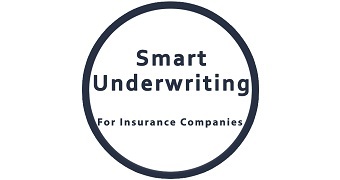 Our vision is to provide business solutions based on our products and services to insurance companies in Turkey and in the close region that are working to create difference in their businesses. 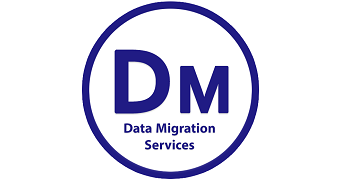 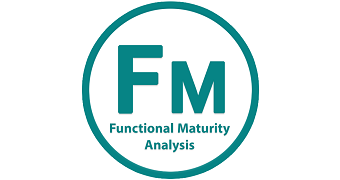 Our goal is, to identify business needs of our customers, and adapt to their business processes. 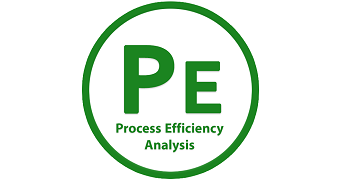 Our mission is, continuously improve our products, structure our services after our customers' requirements and to achieve operational excellence. 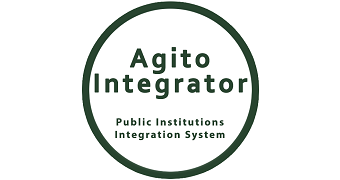 Agito has strengthened its competencies by partnering with leading enterprise solution vendors like Oracle and Microsoft by investing continuously in Oracle, Java and .Net technologies. 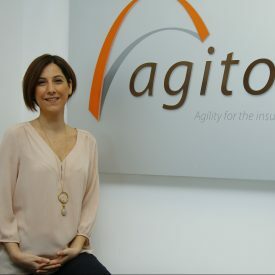 Agito has 150+ employees, with more than 120 highly skilled software engineers with insurance domain know-how, business analysts and project managers, who are working hard to deliver the best quality of products and services to the Agito customers. 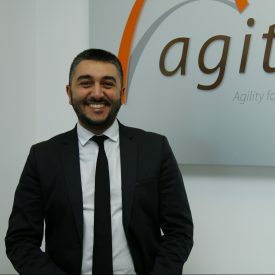 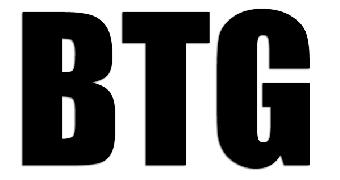 Sales & Business Development, Founding partner of Agito. 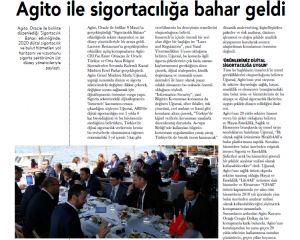 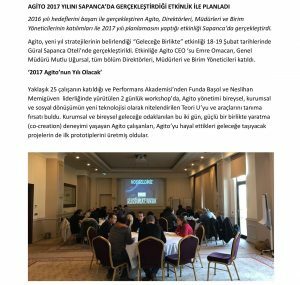 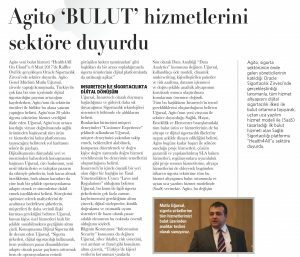 "Agito announced 2017-2020 cloud roadmap and vision along with the health services on cloud, Health4All"
Services As Turn-key On The Cloud"
Agito Bilgisayar Yazılım ve Danışmanlık Hizmetleri A.Ş.